Dr. Torlone is a Massachusetts native and a 1995 graduate of the University of Florida College of Veterinary Medicine. 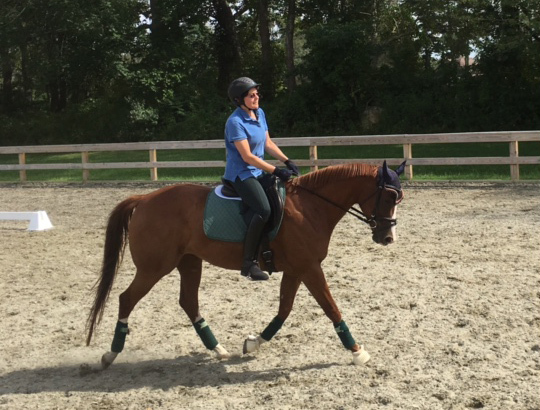 She practiced in Florida before moving back to New England in 1997 and working in small animal practices in Massachusetts and Connecticut. In 2001 she received her certification in veterinary acupuncture from the Chi Institute in Gainesville, Florida. She has enjoyed offering this treatment option to patients both small and large ever since. In 2006 she returned to the Chi Institute for training in Tui-na (a hands on therapy combine acupressure and massage). In January 2012 she received her certification in Chinese veterinary herbal medicine, also through the Chi Institute. Dr. T. has a special interest in geriatrics and improving quality of life for older pets, using Chinese medicine (acupuncture and herbals) integrated with Western medicine to manage chronic pain and other issues. 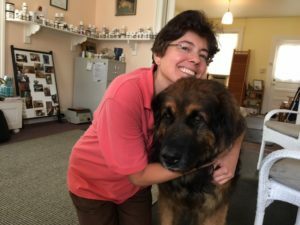 Dr. Torlone is currently owned by a small farm, which she shares with two happy dogs ( a Doberman and a Maremma), two horses, a pet cow, and a guinea pig. When not working, she enjoys gardening, training her horses and bird watching.